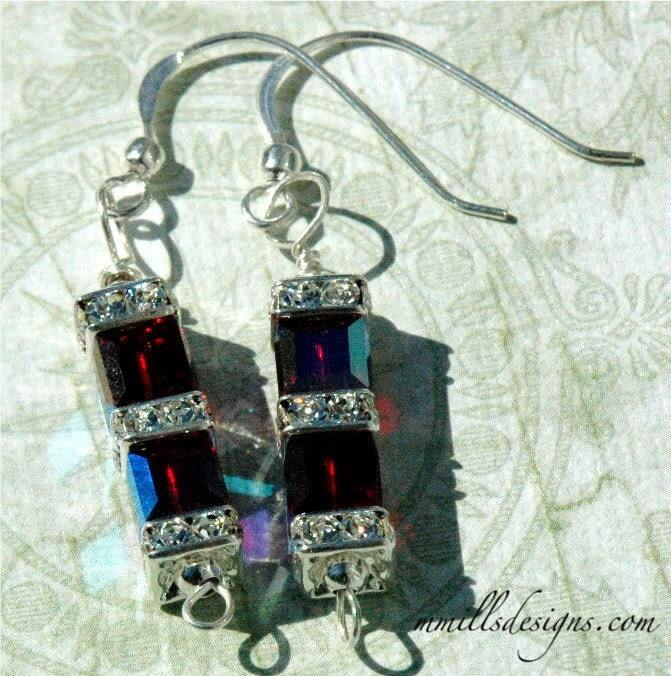 These fun and sparkly earrings are made of Swarovski Cube Crystals, Squardelles and sterling silver round accent beads. 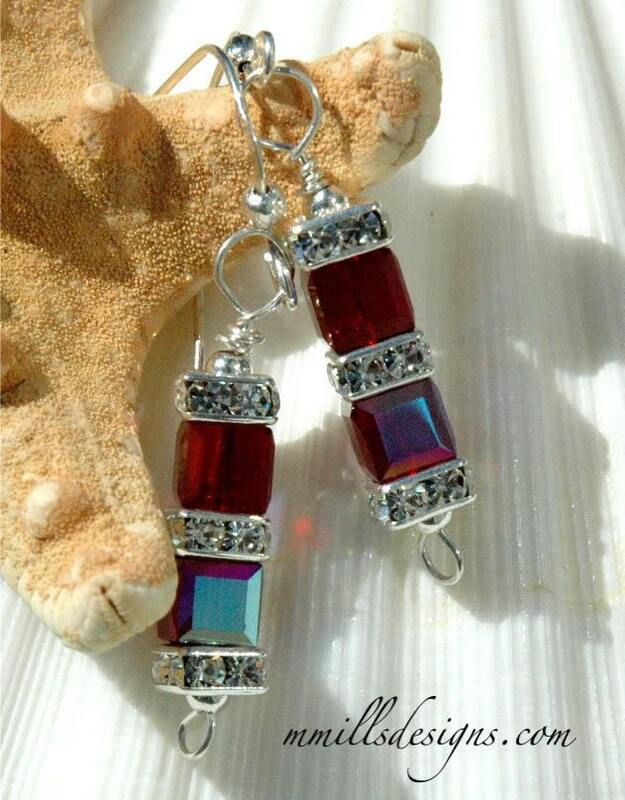 Swarovski Crystals designed into a deep red Siam ab and Crystal colored pair of earrings. 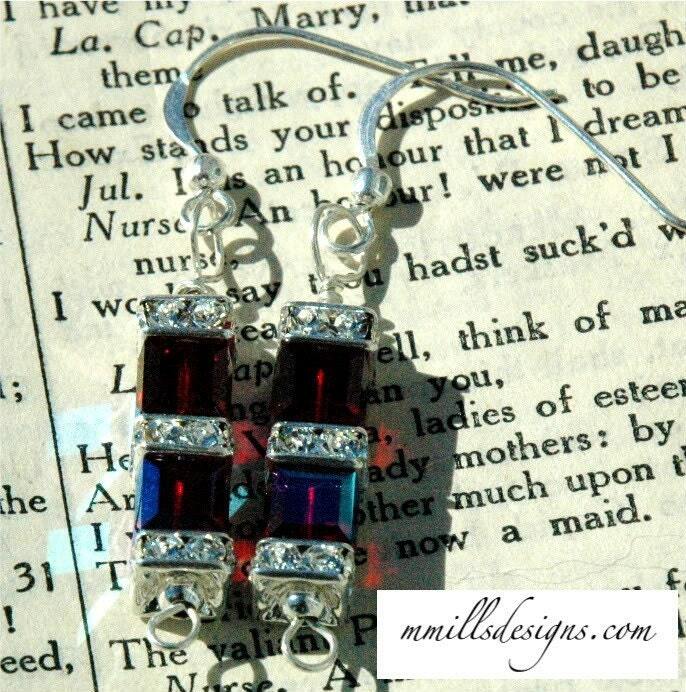 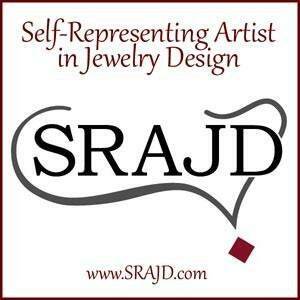 Earrings measure 2" inches in length with sterling silver earwires and sterling silver headpins.